Dr. Magnus began cultivating this ‘bilingual’ skill early in her education and career and credits both for building the framework for her work today. She earned her Bachelors of Arts in Psychology from the University of California, San Diego where she focused on Social Psychology with an emphasis on Health Psychology and Behavioral Medicine. In the late 1980s, as the HIV/AIDS epidemic was hitting the San Francisco Bay Area and just before receiving her Licensed Vocational Nurse (LVN) degree, Dr. Magnus worked as an insurance coordinator at a private practice in San Francisco where some of the first clinical trials of antiretroviral drugs such as ddI were being conducted. However, it wasn’t until she began working as a Quality Assurance Coordinator, and ultimately the Program Manager, at the Pediatric AIDS Clinical Trials Unit (PACTU) in New Orleans, Louisiana in 1992 that she knew she wanted to work in HIV/AIDS research. Dr. Magnus explains that her passion for HIV research was fueled in 1993 when working on interrupting perinatal transmission of HIV at PACTU. 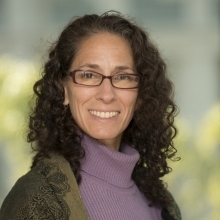 Working on the seminal AIDS Clinical Trials Group (ACTG) 076 study of zidovudine (AZT) to reduce risk of perinatal HIV transmission she “saw that research could be readily transferred to public health and population level health and millions of lives could be saved,” she explains. After receiving her MPH (1998) and PhD (2001) in Epidemiology from Tulane University, Dr. Magnus was offered a faculty position at Tulane and continued her work in HIV with high risk populations. At George Washington University since 2003, she focuses on African American MSM, injection drug users (IDU) and at risk women in urban domestic settings. Magnus works to create ways to effectively reach persons whom our healthcare system traditionally does not serve well. Her research also strives to develop new modes of HIV prevention which effectively engages people by removing structural barriers to care. A good example of this is her efforts in Louisiana where she continues to collaborate to end the growing epidemic in the Southern US: Dr. Magnus has worked with Louisiana Public Health Information Exchange (LaPHIE) since 2002 to use health information technology towards better engagement and retention in care. In addition, her collaboration with the HIV Prevention Trials Network (HPTN) through the GW Clinical Research Site has allowed her to help assess cutting edge prevention interventions. In the future, she hopes to develop interventions that are effective in helping people practice better prevention behaviors, including increasing their ability to access HIV prevention interventions. And she believes that the DC D-CFAR can have a large role in this as well. As Co-Director of the CPS Core, Dr. Magnus is committed to help engage and support researchers and clinicians that are involved in clinical and population based studies.